Upgraded from Magento1 to Magento2 in 2018! 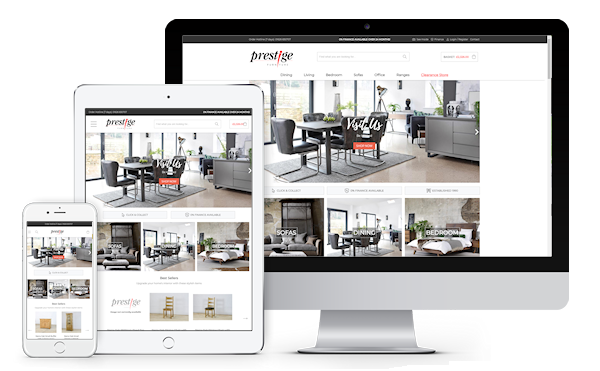 As the largest independent furniture retailer in the South, Prestige Furniture have become synonymous with quality, choice and value. The brief; to create a web presence which compliments the brand and reflects a visit to their breathtaking store in Bovey Tracey, Newton Abbot. Originally built (by us) with Magento Community Edition, in 2018 we upgraded the site to Magento2 Open Source. 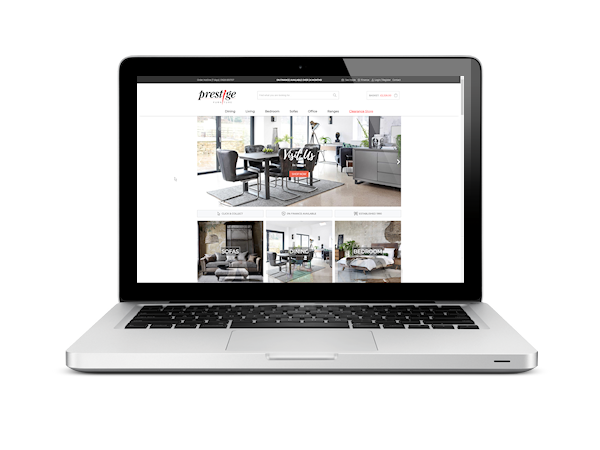 We built a custom integration with furniture retail catalogue management tool X-Margin, allowing Prestige Furniture to show thousands of product options using just a single Magento SKU. We created a stunning shopping experience for desktop, tablet and smartphone. Users can build a list of products they like online and then upon visiting the store the sales team can retrieve their list and show them the pieces for true multi-channel retailing. Since it's launch, the site has increased web visitors 4 fold, generating hundreds of new enquiries in the store. We have also connected the site to their in-house ERP system; FRS Torex, for seamless order management and catalogue integration.